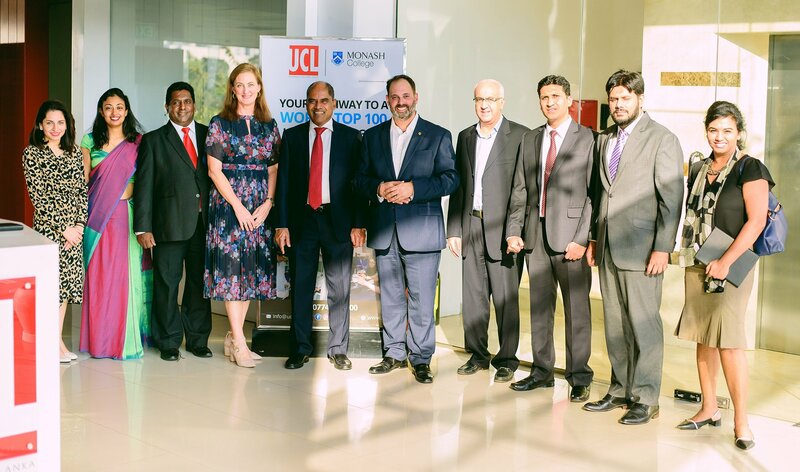 Our international partner provider, Universal College Lanka (UCL), welcomed the Hon Phillip Dalidakis onto their campus on 15 March. Philip Dalidakis is the Victorian Government Minister for Trade and Investment, Innovation and the Digital Economy, and Small Business. Under each portfolio, he works tirelessly to strengthen Victoria’s position as one of the world’s leading destinations for investment, trade and innovation. He is also a distinguished Monash alumnus. The Hon Minister was accompanied by Ms Michelle Wade, Commissioner - South Asia, Ms Gonul Serbest, Executive Director Trade - Trade Victoria, Ms Annie Santhana, Regional Director – Education and Mr Pablo Salina, Advisor – Trade and Investment of the State Government of Victoria. The UCL team including the UCL Directors and Senior Management met with the distinguished guests. UCL Head of Marketing made a presentation on the tertiary education market in Sri Lanka and the excellent progress made by UCL since its inception to the visiting delegation. They toured the facility and the Hon Minister expressed his satisfaction on the high teaching standards and excellent results made by UCL. He also addressed the students and shared his experience at Monash University, much to the delight of UCL students.